Last week Ravello announced their next generation of nested cloud solution with the Oracle Ravello Cloud Service. When Oracle first announced the purchase of Ravello I was unsure of their motives. At the time this was a cool solution essentially for geeks, allowing them to host lab environments in the Cloud. However as VMware have proven with the recent buzz around VMware on AWS, lift and shift of production workloads to the cloud is gaining mainstream focus. But of course production workloads need performance and scale and that’s what Oracle aim to deliver with this new release of Ravello. For those new to this technology Ravello is a nested cloud solution that allows VMware virtual machines to run on AWS, Google or Oracle clouds. The technology that allows this is HVX which creates an abstracted storage layer, exposes VMware virtual devices and provides a networking layer. Whilst Ravello can run across several cloud providers, this release focuses on brining additional performance to Ravello in the Oracle Cloud. 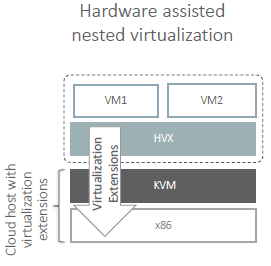 Hardware assisted virtualisation is now implemented allowing up to a 14 times improvement in performance versus without hardware assisted virtualisation. 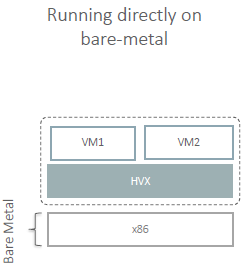 Further performance enhancements are possible by entirely removing the KVM layer and allowing VM’s to run directly on the HVX layer in a bare metal mode. You can read about the performance tests of fellow bloggers Ather Beg and Robert Verdam in the Ravello Oracle Cloud. 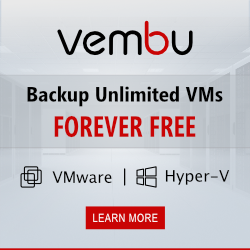 As well as performance increases to the underlying layer, VM’s themselves receive a performance boost by being able to scale to 32 vCPUs and 200GB RAM per VM. Oracle lists some of the potential use cases as test / dev , training, security testing and production. These performance increases certainly seem to make production a possibility. With Ravello and AWS both tempting customers with a lift and shift options it will be interesting to see how this cloud migration strategy evolves and how many companies opt down this route. Next Post Turbonomic 6.0 – What’s new?